Watch out Superman, your kryptonite has arrived. Who is this guy and where’d he come from? 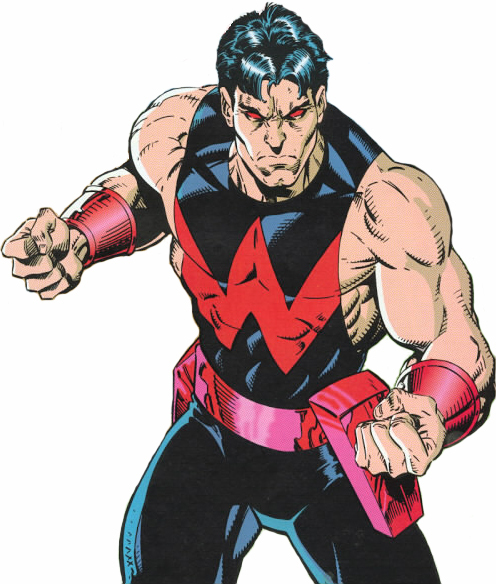 In all my years of following superheroes, which was a majority of my childhood, I never came across the the mysterious Wolverine-esque lookings of Wonderman. His powers you ask? Like every single other superheroes’ powers…superhuman strength, speed, stamina, durability, agility, and reflexes. This would have been my favorite 6th grade Halloween costume too. I feel like I’ve been deprived of some important superhero knowledge. Anyway, Tinie Tempah and Ellie Goulding teamed up to produce a dubstep phenomenon entitled “Wonderman” . Weeks later it was Jacob Plant, a small time DJ from the UK who took this song and put his own super powers into it. If you have been neglected like me, let me be the first to introduce you to Wonderman. Posted on March 9, 2011, in Dubstep and tagged Dubstep, Ellie Goulding. Bookmark the permalink. Leave a comment.